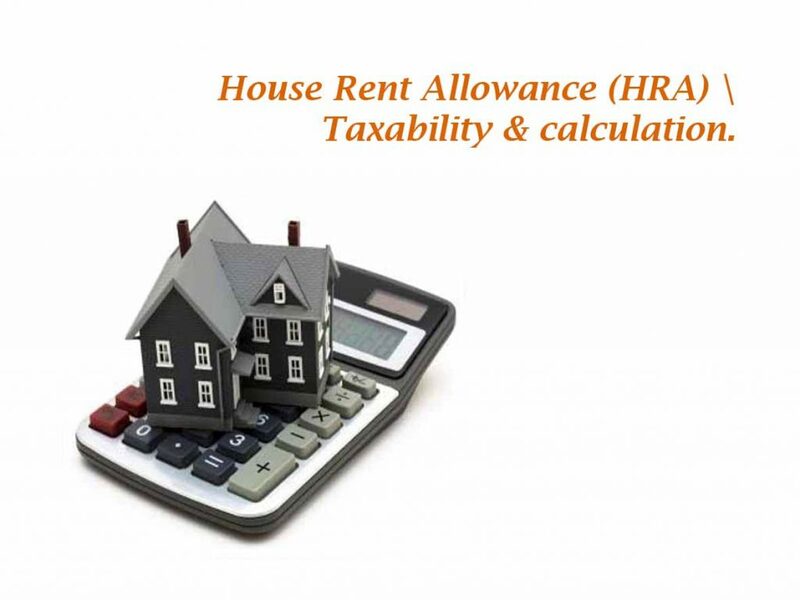 CentrikBlogsTax AdvisoryTax PlanningWhat Is House Rent Allowance( HRA) ? Employees generally receive a house rent allowance (HRA) from their employers. This is a part of the salary package, in accordance with the terms and conditions of employment. HRA is given to meet the cost of a rented house taken by the employee for his stay.The Income Tax Act allows for deduction in respect of the HRA paid to employees. The exemption on HRA is covered under Section 10(13A) of the Income Tax Act and Rule 2A of the Income Tax Rules. It is to be noted that the entire HRA is not deductible. You should stay in rented accommodation and it is not owned by you or any of your family member. You should produce all the rent receipts in proof of actual payment. If the rent paid every month is up to or less than Rs. 3,000 then rent receipts need not be provided. Where such accommodation is situated at any other place; 40% of the amount of salary due to you in respect of relevant period. 4) The calculation of HRA will be computed on annual basis when all the factors were same like accommodation location is same for whole year, rent paid is same for whole year. Otherwise the calculation should be done on monthly basis. * The word salary includes dearness allowance if terms of employment so provide and commission based on fixed percentage of turnover but exclude all other allowances and perquisites.